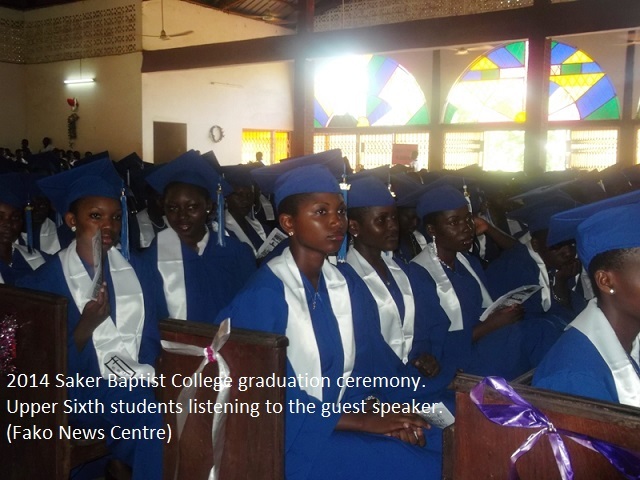 The event was attended by the principal of the college Mrs Matuke Stella Tonge, guest speaker Dr Njwa Eyere, staff of the establishment and the entire student body. 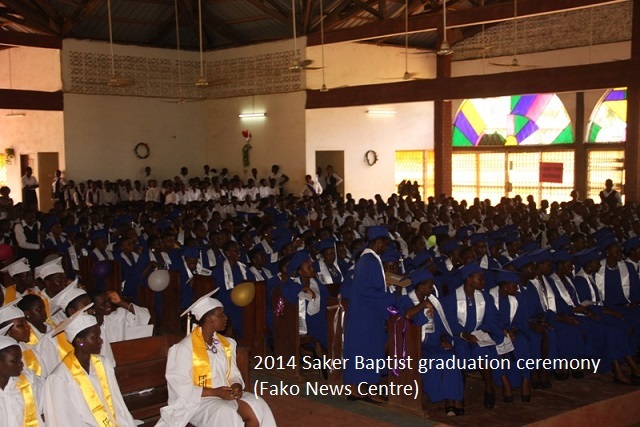 This ceremony was also organised to officially send forth its 53rd Batch of Form Five students (the class of 2009 year of admission into Form One) and 26th Batch of Upper Sixth students. 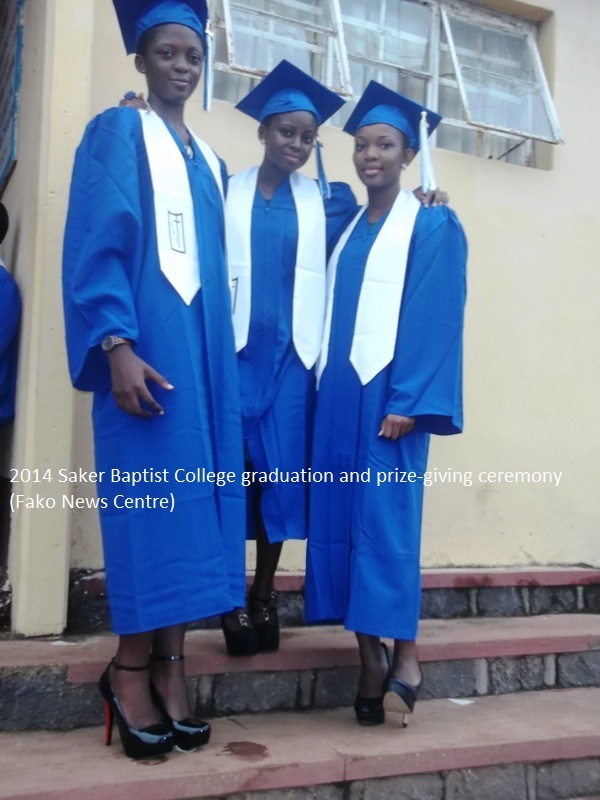 Upper sixth students wore the colourful new graduation robes donated to the school by ex-students of Saker Baptist College based in the USA (Ex-SSA USA). 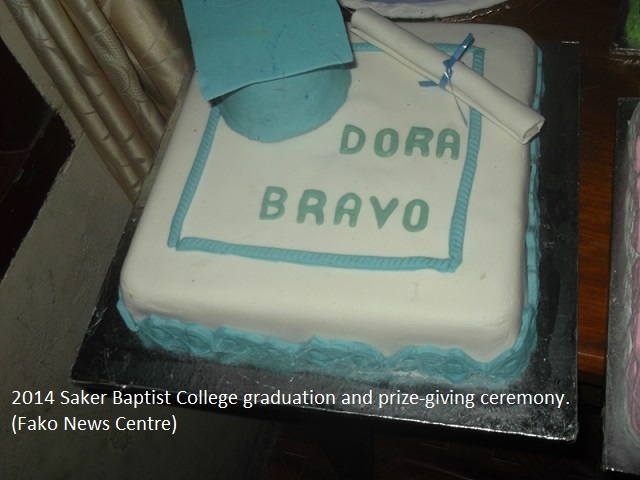 Upon arrival the students, staff and guests were greeted by a beautifully decorated church hall that had the glamour and glitz of Hollywood Oscars yet the prestige of the Nobel Prize awards. 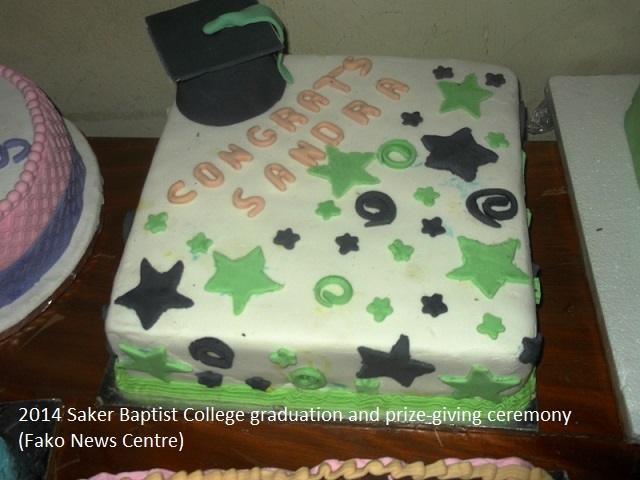 Beautifully decorated cakes bearing the names of some students were all too clear for everyone to see. 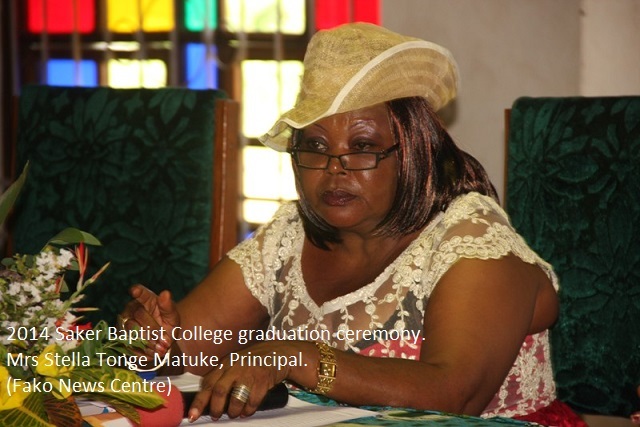 The ceremony opened with a welcome address by the principal, Mrs Stella Tonge Matuke who emphasized on how proud she was to usher the Form Five and Upper Sixth students to the next level, as well as emphasizing that this was actually a prize giving ceremony and not graduation. 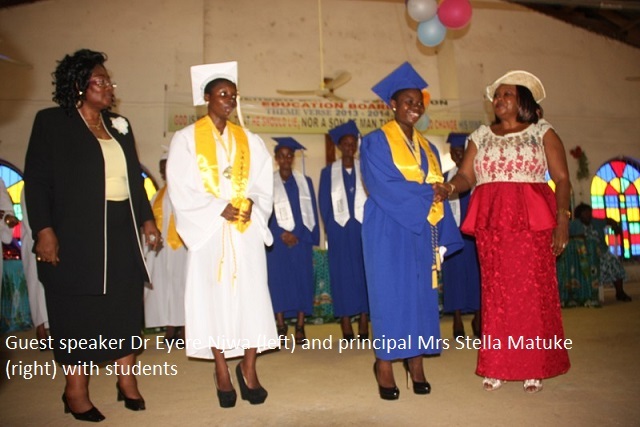 The guest speaker, Dr Eyere Njwa, gave the keynote address and specifically addressed the Form Five and Upper Sixth students. 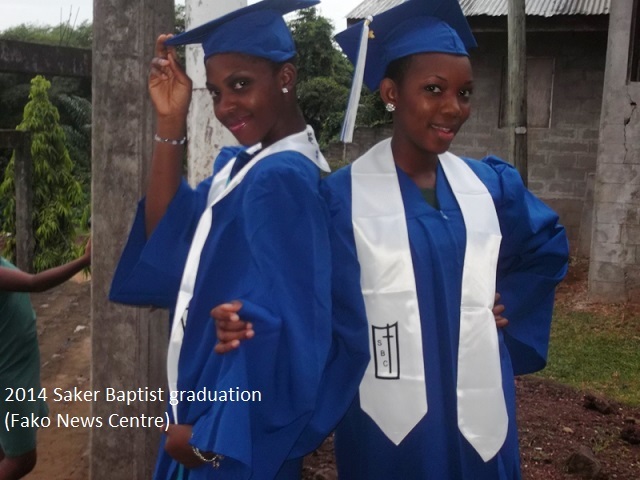 She also spoke especially about the two Anglo Saxon universities which are the University of Buea and University of Bamenda. 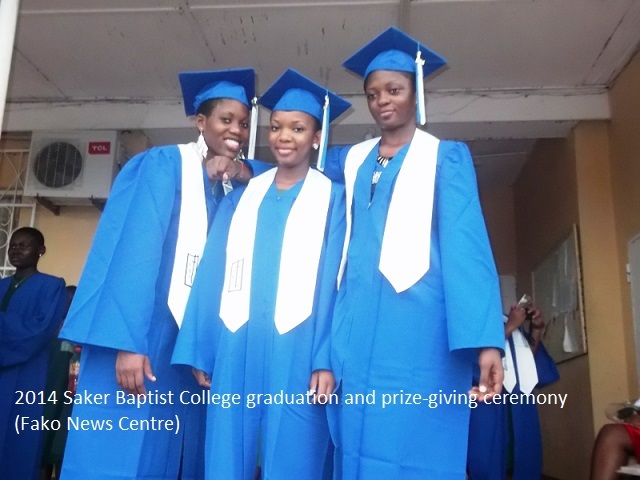 She said “Some of you girls will be finished here and go out there to continue, you must portray all what you have acquired in this institution out there”. 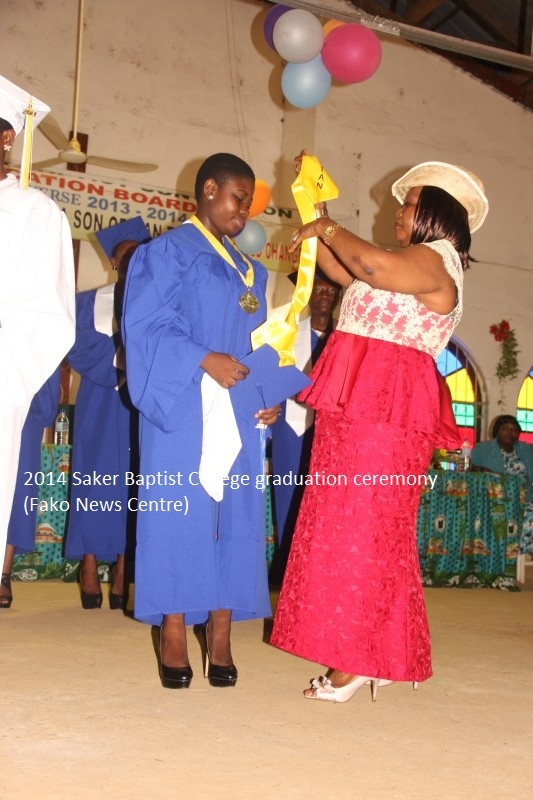 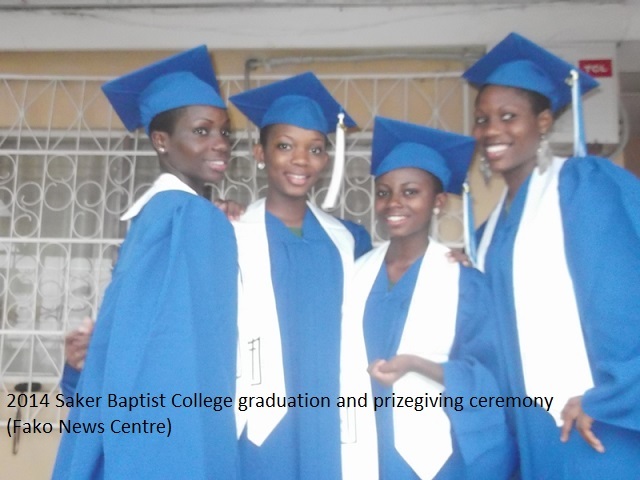 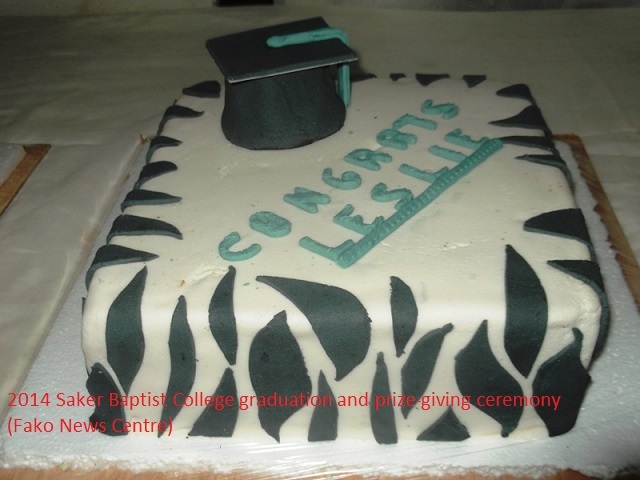 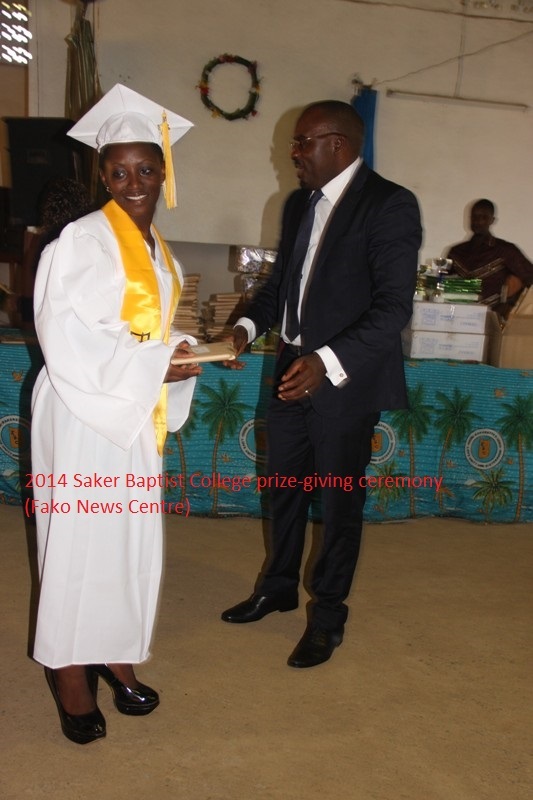 Furthermore she urged these girls to be focused and rounded up by saying “You have to work hard, trust in God and all will be well, long live Saker Baptist College”. 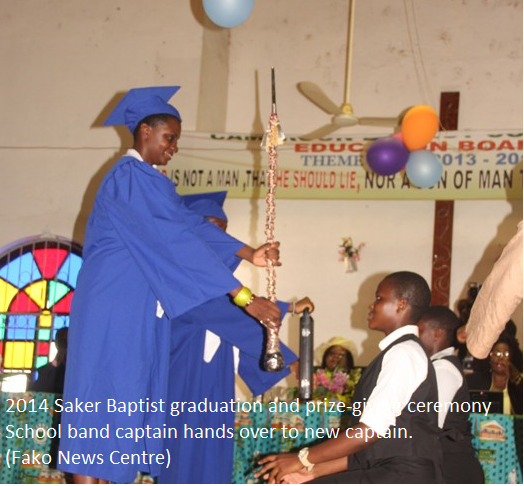 The students demonstrated their gratitude with loud cheers. 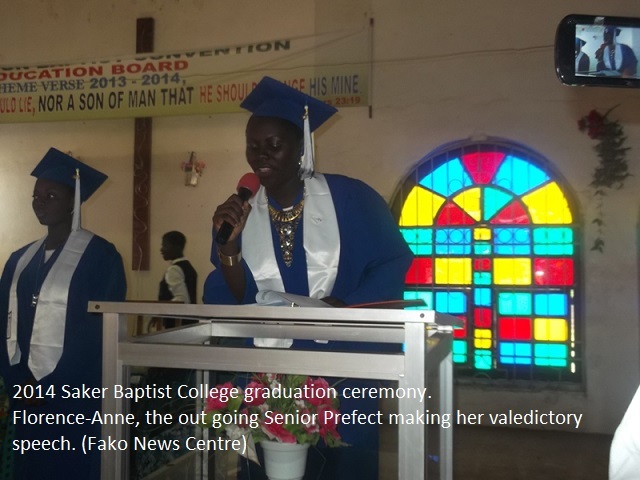 Also, a valedictory speech by the out going senior prefect, Nyanmdi Florence-Anne, was enthusiastically appreciated by the entire student body. 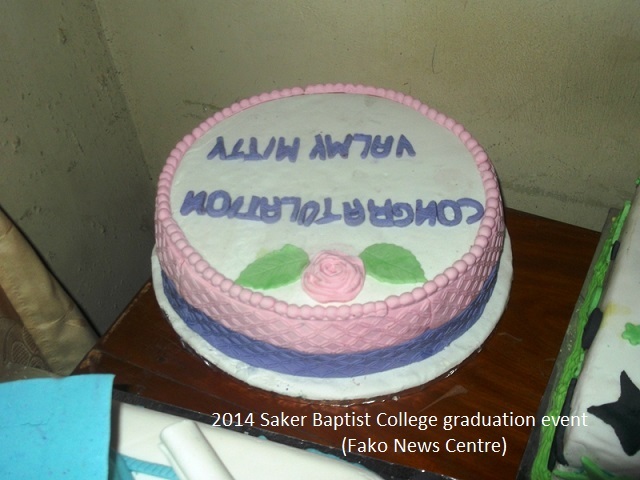 She spoke nostalgically and remembered all her memories of Saker, as well as thanking her out going regime of prefects and the entire student body. 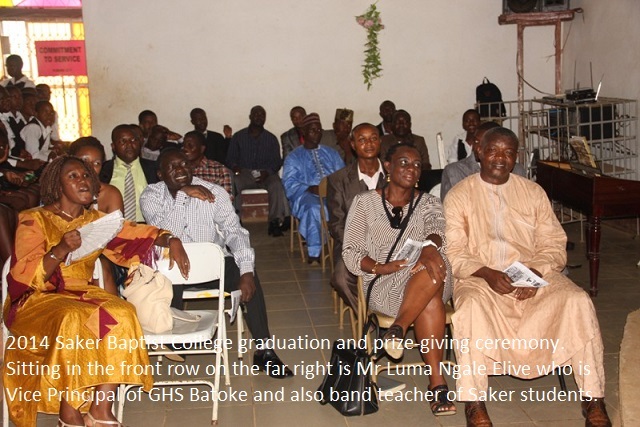 She said “To the rest of you let the virtues of love, hardwork always be your goal, to the rest of the student body, I expect you to work hard”. 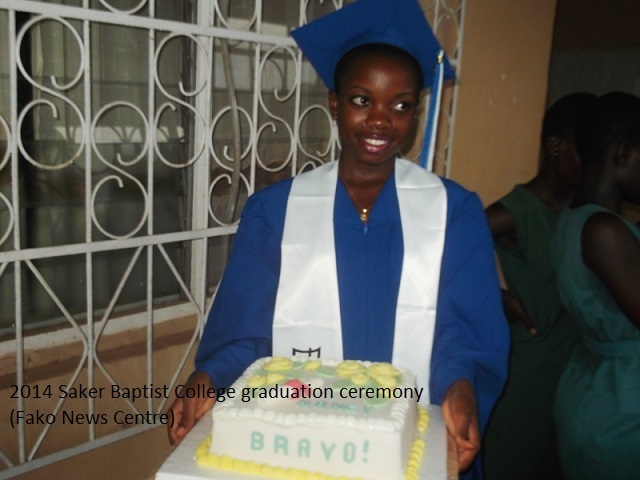 She ended by encouraging the incoming senior prefect. 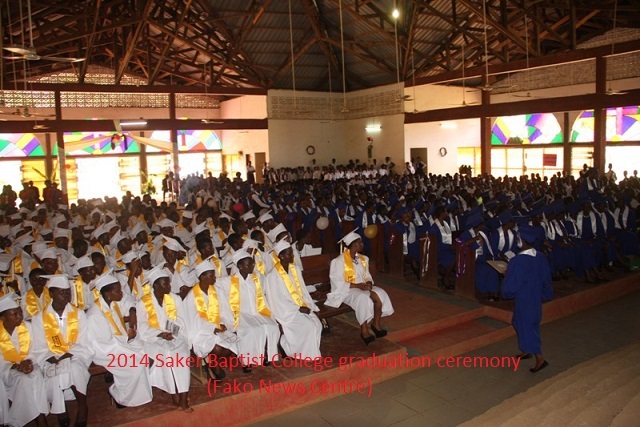 Saker Baptist College staff and students are all aware of the fierce competition for academic supremacy between Saker, Sacred Heart College Bamenda, Our Lady of Lourdes and a few private schools in Douala and Yaounde. 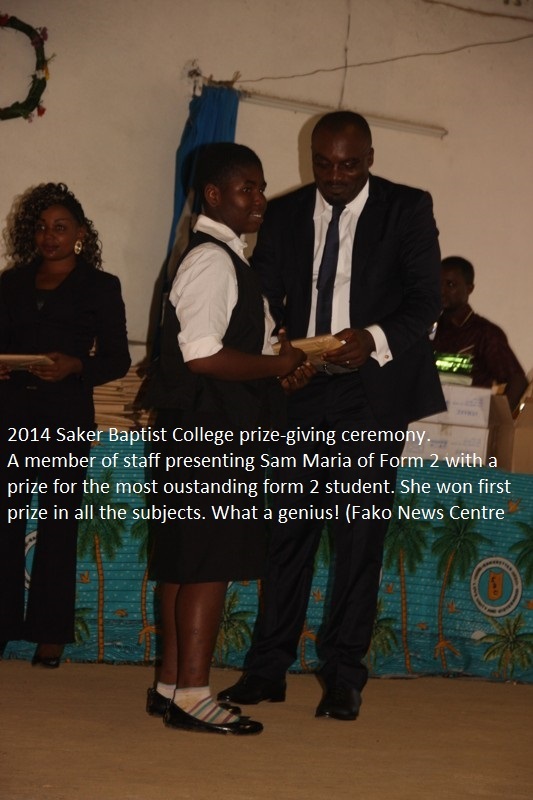 Saker came 4th overall in Cameroon last year and nobody will be surprised if the school comes first or second this year. 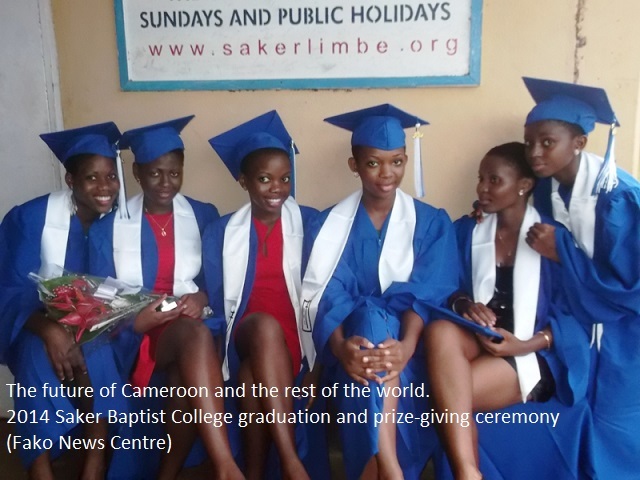 The girls of Saker have the brains to achieve tonnes of ‘A’ grades that will catapult them to the top of the academic spectrum in Cameroon this year, at least in English language and mathematics. 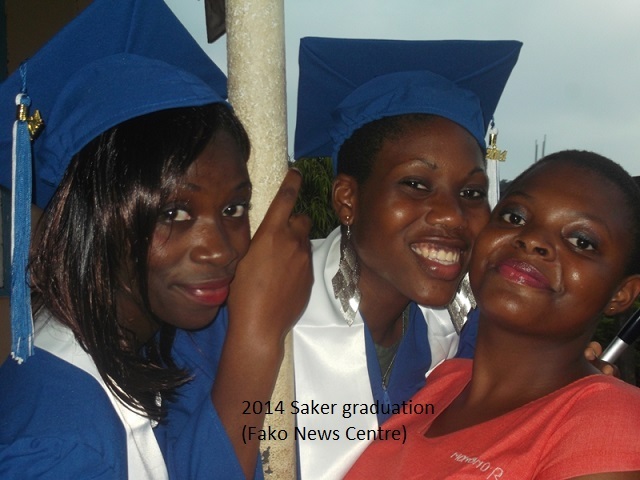 This is why students and ex-students of the school always talk about ‘’The Saker Experience’’. 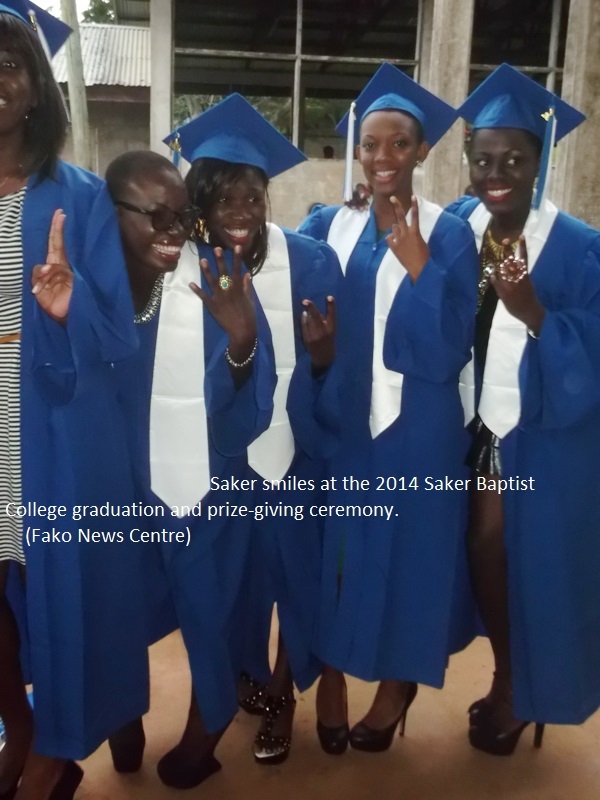 To them, ‘’The Saker Experience’’ means good academic achievement, being God-fearing, speak and write good English grammar, be loving to all, show respect to staff and fellow students, enjoy the inter-dormitory competitions, read exciting novels and connect with the Sakerettes. 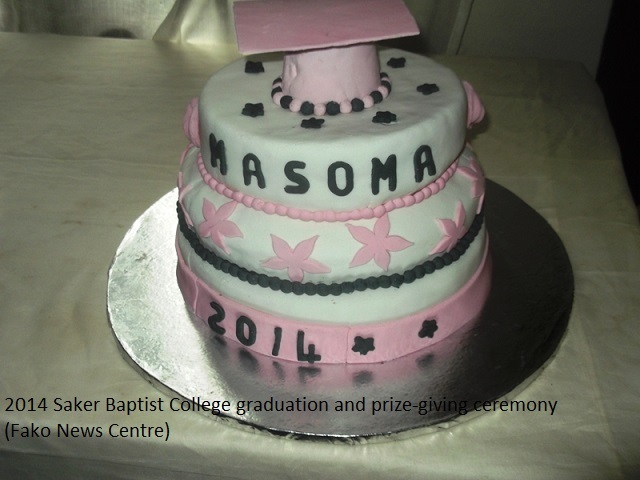 Madam Bodylawson Amina which was given to her by an ex-student called Dr Lydia Diba. 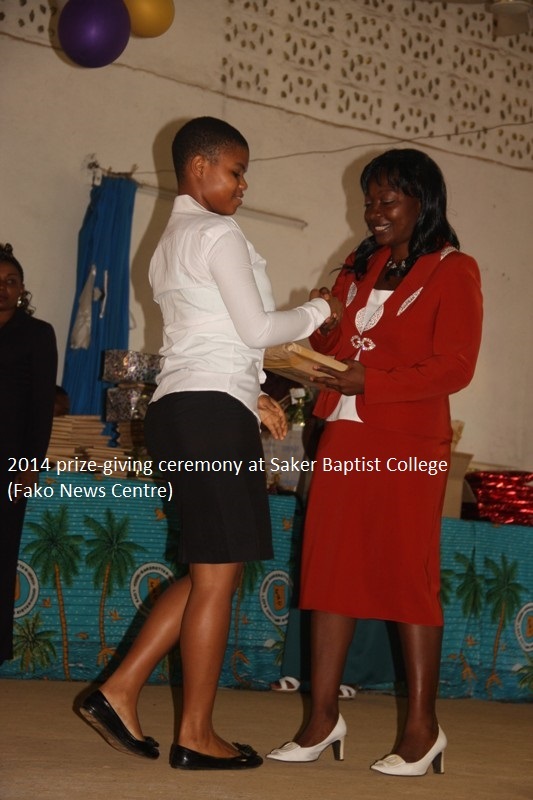 She gave the award so as to encourage teachers because she was inspired by a teacher in Saker when she was a student. 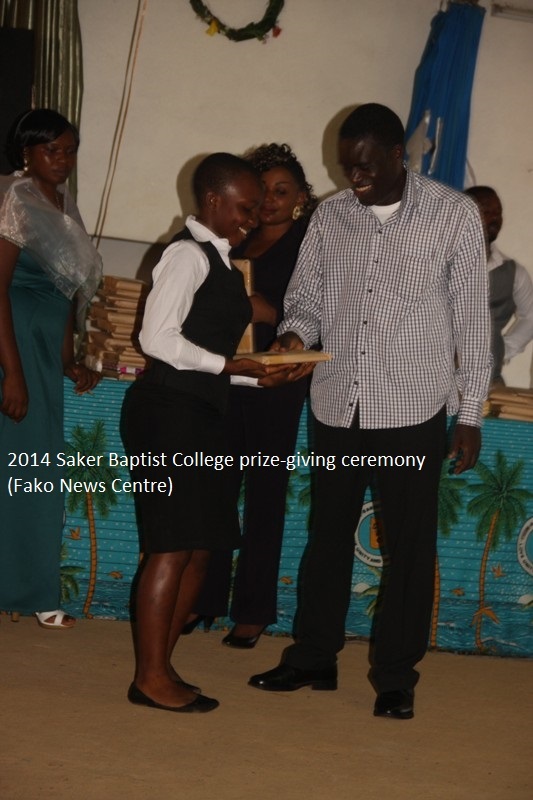 Take note; prizes were awarded for all of the other subjects. 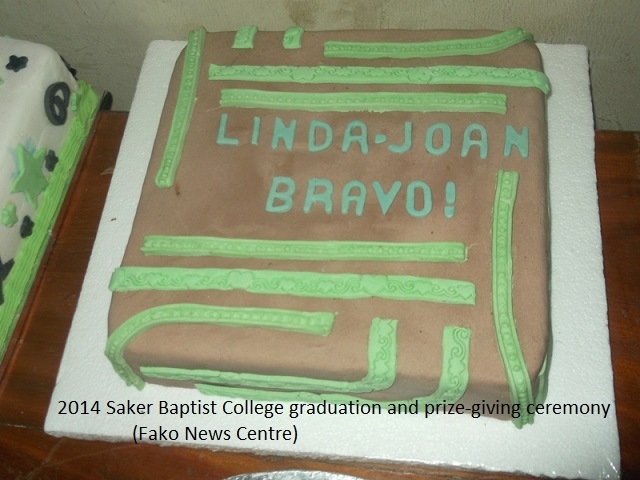 We are sorry that we couldn’t publish all the names.